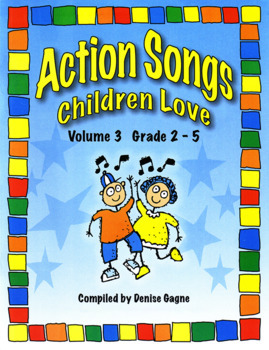 Action Songs Children Love Volume 3 has 31 more engaging musical activities for children to enjoy. 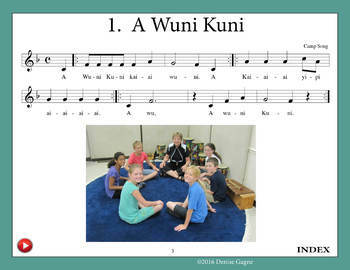 Aimed for children from Grade 2 to Grade 5, these songs encourage participation and challenge their memory as they sing and perform actions simultaneously. 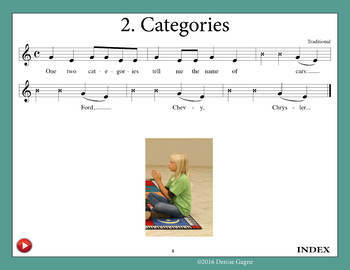 The actions aid some children in remembering the lyrics, enhance their language development, and help children develop patterning and sequencing abilities. They also help them develop hand-eye coordination and finger dexterity. Finger games will help to develop the fine muscle coordination needed later in music classes to play the recorder, barred instruments, ukelele, guitar, or piano. For even more organized fun, check out Action Songs Volume 1 and Action Songs Volume 2.